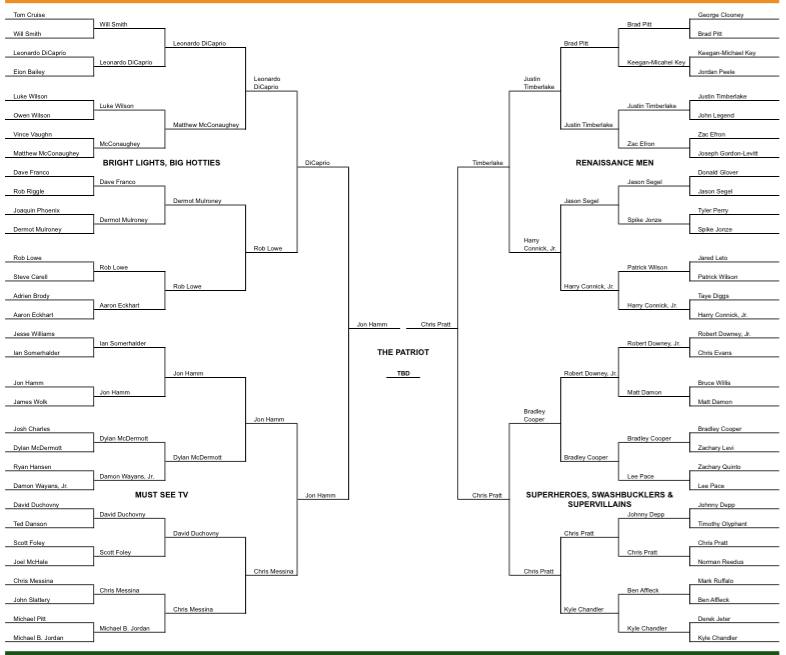 Interestingly enough, Chris Pratt won his match up unanimously, so keep that in your back pocket. "This isn't even a contest anymore." "Jon Hamm wins here because Leo drives a wimpy electric car."